Sit on a soft, springy cushion of blueberry and heather. Listen to bird song and the drumming of a woodpecker against a background of nothing but the wind in the trees. Lean back against an ancient pine, and smell its sweet, sticky resin. 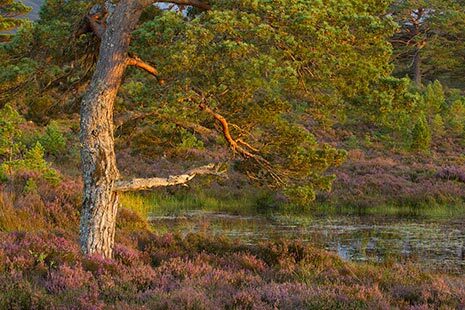 Ancient pinewoods are one of Scotland’s national treasures. In the Cairngorms it’s really easy to get into them and because they are so vast it’s not difficult to find somewhere quiet for a moment of pure solitude and make a genuine connection with an ancient and wild place.